Dean from Australia: Be In Love - There Need Be No Other Title. I've had quite musical banquet in the past couple of weeks and it has led me to some new aural discoveries which are always welcome to my ears. I took my serioso to see Feist for her birthday at the 'Thebby' in Adelaide back on the 9th and I made the comment at the time that I would renounce my Australian citizenship tomorrow, just to become a Canadian and have the opportunity to see Feist live a lot more. She was, in a word, sumptuous. But in all of my gushing about Feist and Canadians being the most beautiful people on Earth, I received a new Twitter follower who instantly caught my attention and had me eagerly checking out her website and her music. As such, I just had to add her to my growing list of "There Need Be No Other Title" entries. 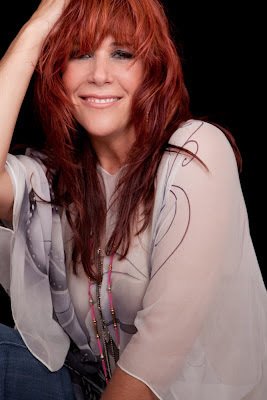 Amanda Abizaid, though not immediately recognizable to me, is a songstress and composer of formidable talent and one who has amassed a seriously impressive portfolio since she first emerged onto the scene in the late 90's. Born in Beirut, Lebanon and migrating to the U.S. in the middle 90's, Amanda has worked as both a model and actress garnering critical success for her work but it is to her music I am drawn and her vocal talent in particular which is truly something to behold. Her body of work as a singer, songwriter, and multi-instrumentalist (piano, guitar, and flute) Amanda is best known as the captivating vocalist on the theme song “A Place In Time” from Paramount’s The 4400, the featured song “Dreams in Ashes” from Lifetime Television’s Odd Girl Out, as well as other lead vocal appearances in songs appearing in Smallville, Ed, One Tree Hill, Felicity, and Charmed. Amanda has also contributed compositions for feature films such as 3 Below, 13th Alley, and an independent short film, Facing the Lion, by writer director, Joe Plonsky, and executive producer, Scott Spiegel, in which she has a starring role. 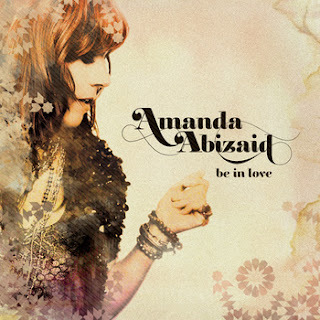 "Be In Love" is Amanda Abizaid's latest solo release, an eight track EP that show cases Abizaid's wide ranging vocal talent, her skill across a number of instruments and her ambitious fusion of a number of musical styles. Abizaid's voice has a smoky, sensual and passionate sensibility which is incredibly attractive and she has quite a range too, which allows her to vary her ability effortlessly across the six vocal tracks. Her Middle Eastern roots shine through which adds a earthy texture to her voice and I have to say that I am a sucker for these influences. I have been listening to a number of artists who have drawn from Middle Eastern musical styles - both Chemda Khalili and Lisa Gerrard come to mind instantly - and I'm happy say Amanda Abizaid is a beautiful addition to my catalog. Her music fuses those Middle Eastern rhythms and instruments with an urban flavor that floats from jazz to world music to even a little bit of hip-hop. It has the potential to get a bit messy but here, on each track of the EP, it totally works. It sounds effortless and well polished. You will be bouncing your head after a while, I guarantee it. Thematically "Be In Love" speaks of love and life and personal growth from Amanda's perspective and it has been influenced largely from her life thus far, growing up in Lebanon and migrating to America. It feel is positive and reflective and it's a refreshingly individual work, created with a lot of care and constructed meticulously. At $5.99 "Be In Love" is a worthy addition to your library and one that connects you directly with the artist - avoiding the various middle men/women along the way. As with previous entries to my "There Need Be No Other Title" series, I am pleased knowing that 100% of my hard earned goes directly to artist. Amanda Abizaid is one of those gems that you find when you least expect it. And they are truly the best ones.